What is T.E.N.S & how is it used for bite registration? 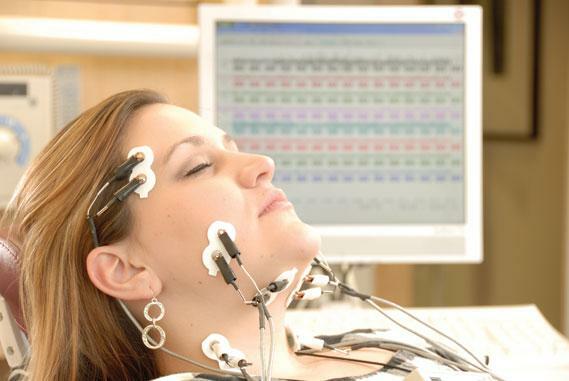 T.E.N.S stands for 'Transcutaneous (through the skin) Electrical Nerve Stimulation', and in dentistry is often referred to as 'neuromuscular bite registration'. Step 1. Relax the muscles using an ultra-low-frequency T.E.N.S device. After thirty minutes to an hour of stimulation, the masticatory muscles are usually relaxed and the bite registration can proceed. While using the T.E.N.S device, the mandible will move up and down approximately 1mm. Step 2. Turn off the T.E.N.S unit. Have the patient close to centric occlusion for evaluation, then have the patient tap their teeth 3 times and protrude. Step 3: From here a position is found where tonus of the evaluated muscles is at a minimum and the vertical dimension is within a range of treatment. Step 4. Inject bite registration material between the occlusal surfaces of the teeth. What is The Aqualizer® & how is it used for bite registration? The Aqualizer® is a temporary fluid filled device that is used in between the teeth, in order to decompress the jaw joints and relax the muscles, prior to taking any kind of bite registration for evaluation or diagnosis. So that as the patient applies pressure, the fluid is driven side to side to always be able to dynamically equilibrate or level out the pressures on the jaw joint. Step 1. Insert an Aqualizer® into the mouth, allowing the muscles to bring the mandible to its natural most comfortable position. As a general rule the more severe and chronic the symptoms, the longer the period of Aqualizer® therapeutic wear before the bite registration is taken. For those with mild or episodic bruxism, just ten minutes of wear will be sufficient, but chronic sufferers may need to wear the Aqualizer® for a day or two to relieve facial jaw pain. Step 2. Next set the final VDO (vertical dimension of occlusion). Aqualizers® are available in 2mm, 4mm, and 6mm VDOs. To increase VDO for the bite registration, add base plate wax under the water beds. Step 3. Instruct the patient to bite down naturally with the Aqualizer® still in place, while injecting silicone across the anterior from cuspid to cuspid. Step 4. Remove the Aqualizer® with the anterior bite still in place. Inject registration material between the occlusal surfaces of the left and right posterior teeth. Instruct the patient to close carefully into the previously established anterior bite. This creates a one piece full arch bite registration. Step 5. Assemble the patient’s dental casts accurately into the bite registration. Send this assembly to your lab for phase 1 treatment...we believe the best phase 1 lab in Australia to be Functional Orthotic Design, based in QLD. The Aqualizer® is a dynamic device, and some of the advantages over other devices used for either deprogramming or decompression techniques (like when using the T.E.N.S method) is that it is able to move. The fluid travels from one side to the other, and as a result, as muscles start to relax, then the dimension of the mandible to the maxilla changes in three dimensions. The disadvantage of the T.E.N.S bite is that the bite position taken is found by reducing muscle tonus and relaxing the muscles, which is not normal. The T.E.N.S bite results in a greater vertical dimension and substantial vertical change of the maxillomandibular relationship. It is often necessary to either temporarily or permanently augment the occlusion (with an appliance or prosthesis) to maintain this new position. There are many techniques in finding the proper cranial mandibular relationships and, therefore, dentition relationships or occlusion. The other neuromuscular techniques used prior to doing any kind of bite registration include; the swallow technique, phoenetic "S" technique, romancing & positioning. There's various schools of thought on how to accomplish the best relationship prior to stabilisation of the occlusion and, therefore, finishing techniques. Prior to any technique, quieting the neurology of inflammation in the jaw joint itself, and relaxation of all external and internal muscles of closure and mastication, are ideal for finding the proper trajectory of closing and muscular stability and structure. And that's why the Aqualizer® should be the first step used in any technique to quiet all of these systems prior to the final bite registration. The Aqualizer® is basically a good precursor for any bite technique that may be utilised and the beauty of it is that it doesn’t tie into any one technique. It's basically wiping the nociception (phonetic) away, relaxing the muscles, to give a good starting point for whatever final point of restoration, or for restorative purposes, or for oral appliance therapy. Functional Orthotic Design is a specialist dental laboratory based in QLD, at the forefront of Appliance Therapy dealing with all aspects of TMD, Orofacial Pain Management, Sleep, Airway and Orthopaedic Appliances, and is Dentiform's lab of choice for all phase 1 dental orthotics. Functional Orthotic Design owner, Shaun Strang has exhibited the quality and accuracy necessary in order to comply with standard protocols established by Dr. Steven Olmos, an internationally recognised lecturer and researcher, and the founder of the TMJ & Sleep Therapy Centre’s International. Dr. Olmos graduated from the University of Southern California, School of Dentistry, and has dedicated the past 26 years to the fields of craniofacial pain, TMD and sleep disordered breathing. Shaun’s commitment to excellence has given Dr. Olmos the confidence to recognise and support Functional Orthotic Design as a designated manufacturing arm for the Australian market. Dentiform Australia understands the importance of maintaining this phase 1 position, and finishes using the Acculiner and advanced CAD/CAM systems to enable a predictable, accurate and highly aesthetic outcomes. Sugary snacks and too much fruit juice are well-known risk factors for tooth decay. But there are other apparently innocent activities that could be damaging our teeth. Earlier this month, it was suggested that exercise could be bad for teeth — dentists at University Hospital Heidelberg, Germany, found the longer athletes exercised, the less saliva they produced and the more alkaline it became. Alkaline saliva encourages the growth of plaque bacteria, and for every extra hour of training each week, the researchers found there was an increased risk of having decayed or missing teeth. Drinking something hot after coming in from the cold may cause cracks in the surface of the teeth. These superficial cracks, barely visible to the naked eye, are caused by rapid changes in temperature. Teeth are made of a yellowish bulky material called dentine, which is covered with enamel, when a tooth is exposed to a sudden temperature change, this can stress the enamel and result in a crack. Usually cracks are only a cosmetic problem, as they can become stained by coffee or red wine. However, if they become deeper and enter the dentine, this can cause sensitivity. 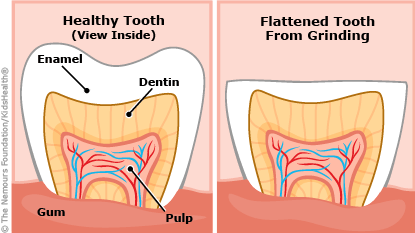 A severe crack may also damage the pulp or nerve within the tooth, causing infection or an abscess. This happens only if you are frequently exposed to extremes of temperature, so the effects are cumulative, like constantly stepping on ice until it gives way. You can limit the change in temperature for your teeth during cold weather by wearing a scarf over your mouth, as this will warm the air you breathe. The same kind of problem can be caused by crunching the ice in your drink. When you chew ice, you’re creating a sudden change in temperature, stressing the enamel, which in turn can cause small cracks. Swimming in pools in which chlorine content hasn’t been carefully regulated may lead to dental erosion — loss of hard tissue from the surface of the tooth. It may also leave teeth discoloured and more sensitive. Chlorine reacts with water to produce a weak form of hydrochloric acid, which can wear down teeth. Researchers from the New York University College of Dentistry found pools that are not properly maintained can cause severe and rapid erosion of dental enamel. Pools should have their chlorine levels checked regularly. While swimming, keep your mouth closed to avoid exposing teeth to chlorinated water. Antihistamines used for allergies such as hay fever can cause a dry mouth, which can lead to tooth decay in the long term. They work by blocking histamine — a chemical released by the immune system when the body is under attack. However, in blocking receptors for histamine, the drug can have an effect on receptors elsewhere in the body, such as those on the tongue and in the mouth, this may affect the release of saliva, causing a dry mouth. As well as being uncomfortable, dry mouth can lead to gum disease as the gums pull away from the teeth, and form ‘pockets’ that become infected. Teeth eventually loosen and can even fall out. Chewing sugarless gum and sipping water may help boost saliva production. This is the old adage we used to hear from Mum..."don't use your teeth!!". Using your teeth to hold knitting needles or biting off threads can make dents in the front teeth known as a tailor’s notch. Biting nails, separating Lego blocks and tearing packets open with your teeth rather than finding the scissors can also put huge stress on the front teeth and can lead to cracks. Acids and sugars produced when we eat weaken the protective enamel temporarily, so if you clean your teeth straight after eating, you are brushing away at the enamel before it hardens again. Wait at least half an hour — or even better, brush your teeth before meals to remove bacteria that feed off the food, and then freshen up after eating using an alcohol-free mouthwash. And fight the urge to rinse after cleaning your teeth, as it washes away the protective fluoride coating left by the toothpaste. Some progesterone-only birth control pills could make gums inflamed and more likely to bleed. They increase levels of hormones such as progesterone, much in the same way as pregnancy does. It is thought these hormones cause an exaggerated reaction to dental plaque, triggering inflammation. This is also why pregnant women may have inflamed gums that bleed when brushed. Changing to a lower progesterone Pill may help. While there is no treatment for the inflammation, good dental care will minimise it. Air travel can trigger pain in a tooth that hasn’t previously bothered you because of changes in altitude causing tiny pockets of air to become trapped in deep fillings or collect in areas of decay. This air is trapped at a different pressure to cabin pressure, which is why it causes pain, the same could happen when mountain climbing or skiing. Have a check-up before you go away to check you don’t need any fillings. The pain should dissipate within a few hours of landing — but see a dentist if it persists. Talking non-stop can cause wear and tear on the jaw and even lead to arthritis in the joint, constant movement of the jaw can wear out the joint. The jaw joint is a complex joint and probably the most used in the human body. Around one in four people will have a problem in the jaw joints. Treatment for arthritis in the jaw can involve a replacement of both joints. Applying a crushed-up aspirin tablet straight to the mouth is a common DIY remedy — the idea is that it directly attacks the source of the pain. But applying it directly to the surface of an aching tooth may burn the soft, sensitive tissues in your mouth, so if you have toothache, aspirin may indeed help — but only if swallowed. Asthma inhalers usually contain an aerosol form of medication known as beta agonists, which work by relaxing the muscles surrounding the airways, making it easier to breathe. However, studies here in Australia and Scandinavia have linked the drug to an increased risk of tooth decay, because it is slightly acidic. The key is to make sure that the medication doesn’t touch the teeth. Some inhalers that contain the drug as a powder also contain lactose, a milk sugar, to improve its taste. But if residue from the powder is left on the teeth, it could contribute to decay. Changes generally begin with brown areas, no bigger than a pinprick, on the inside of the teeth. After using your inhaler, rinse your mouth with water. Scuba diving can lead to jaw joint pain, gum tissue problems or tooth pain symptoms known as ‘diver’s mouth syndrome’. This is caused by clamping on the mouthpiece and by the air pressure change involved in diving. They call it the outback yank and in many rural areas it’s the only dental care available — you have to pull out your own diseased teeth. A severe shortage of dentists in rural areas means for a staggering number of rural residents a pair of pliers is the closest they can get to dental care. 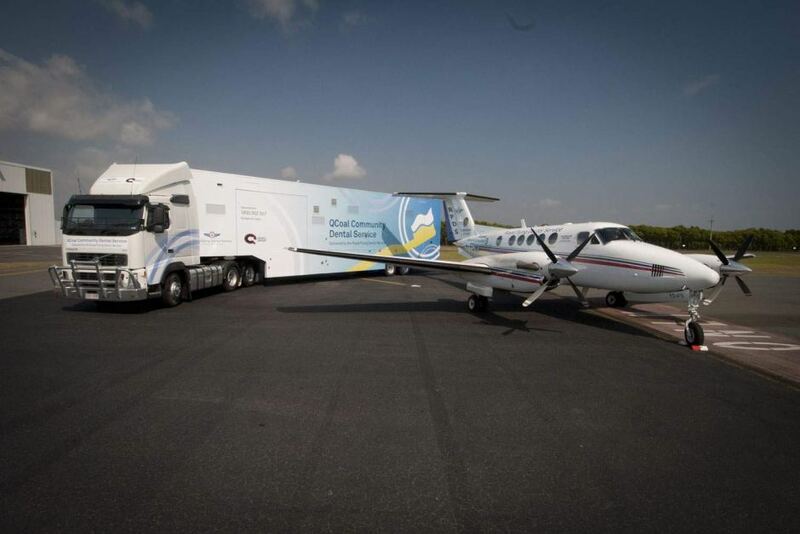 The Royal Flying Doctors Service, which two years ago began supplying dental care to 10 outback towns off the back of a semi-trailer, says most of the 1800 patients it’s treated so far have been emergency cases. “There was long term dental disease that had never been treated, fillings, rotting teeth, people had resorted to their own dental work with pliers,” Anita Hansen the general manager of the Royal Flying Doctor Service Queensland said. Many rural people have to drive for over and hour and a half to reach a dentist. “If you don’t have any access to dental services and you’ve got a property you can’t leave and it takes three days to get into town you do what you can,” she explains. Between 2011 and 2012, the number of dental practitioners in Australia increased from around 18,700 to nearly 19,600. However, there are half as many dentists per head of population in the bush as there are in the city — 64 dentists per 100,000 people in the cities but only 36 per 100,000 in outer regional areas and just 21 per 100,000 people in remote areas. In 2004—2006, people living in inner regional areas had the highest average number of decayed missing or filled teeth at 14.75 per person. The Natonal Rural Health Allaince says the proportion of people with untreated decay varies from 23.5% in major cities to 37.6% in Remote/Very remote areas. And poor access to fluoridated water in many rural towns means dental problems in the bush are worse. Bronwyn Christensen whose family farms cattle near the central Queensland town of Theodore says it’s a one and a half-hour drive to the nearest dentist and when the Royal Flying Doctor truck rolled into her town it was fully booked. There is a dental chair in the town of Biloela that services an area of 12,000 people but there is no dentist. “The issue is recruitment, trying to get people out of the coast to the inland, it’s the same problem we have attracting doctors,” she says. Dental care matters because it can affect your general health. More than 63,000 Australians are hospitalised each year for preventable dental conditions, it’s the third highest reason for acute preventable hospital admissions. Oral cancer is the eighth most common cancer in Australia and dental disease has been linked to heart disease, diabetes, stroke and low birth weight babies. 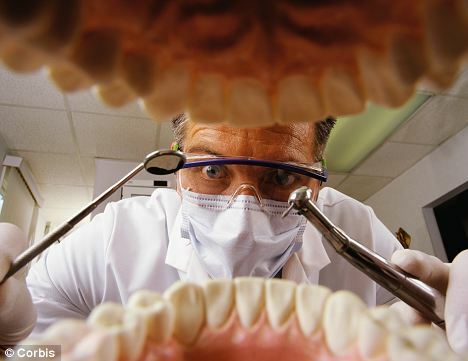 Chief Investigator, Centre for Research Excellence in Primary Oral Health Care, and an employee of the Universities of Tasmania and Adelaide, Dr Leonard Crocombe, says the main reason there are so few dentists in the bush is they can’t make money. “You need at least 3,000 patients for a dentist to make money, more than you’d need for a doctor,’ he says. Even if there are enough patients, low incomes in the bush mean many rural residents can’t afford dental care even if it is on offer. There are around 400,000 people on waiting lists for government funded public dental clinics around Australia and waiting times are up to five years, most of this care is supplied in major cities, far from the neediest in the bush. A big increase in the number of overseas trained dentists coming to Australia and an expansion of dental schools from five to nine, many of them in rural areas, has seen a huge increase in dentist numbers to the extent that it is feared there is now an oversupply in the cities. ”The concern is that without targeted policies, we could end up with those who are currently receiving dental care receiving more elaborate dental care, while those who currently can’t access dental care, will still not be able to get it,” Dr Crocombe says. By establishing dental schools in the bush it’s hoped country people will be attracted to study the profession and stay in their local area but Dr Crocombe says we are still waiting for the evidence to come in. The Government offers a Dental Relocation and Infrastructure Support Scheme (DRISS) that pays dentists between $15,000 to $120,000 to relocate to rural areas and Infrastructure Grants up to $370,000. This should help solve the shortage in the bush but Dr Crocombe says his PhD student, Diana Godwin has found dental practitioners who left rural areas wanted better schooling for their kids and employment for their partner. Long-term retention relied on ensuring the dentist was involved in the community and enjoying the lifestyle. Fluoridating the water in small rural communities would help combat dental disease in the bush. Experts want the Health Workforce Australia report which has projections on dentist numbers to be released so workforce planning can be undertaken. The Children Dental Benefits Schedule which provides $1,000 worth of Medicare funded dental care for kids every two years should be expanded to include adults in the bush. When you look in on your sleeping child, you want to hear the sounds of sweet dreams...easy breathing and perhaps an occasional sigh. But some parents hear the harsher sounds of gnashing and grinding teeth, called bruxism, which is common in kids. Bruxism is the medical term for the grinding of teeth or the clenching of jaws. Bruxism often occurs during deep sleep or while under stress. Two to three out of every 10 kids will grind or clench, experts say, but most outgrow it. 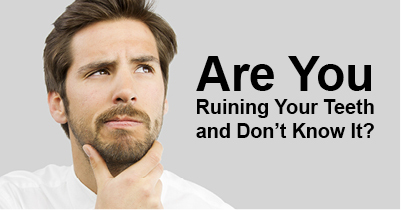 Though studies have been done, no one really knows why bruxism happens. 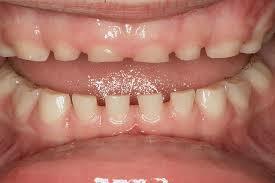 But in some cases, kids may grind because the top and bottom teeth aren't aligned properly. Others do it as a response to pain, such as an earache or teething. Kids might grind their teeth as a way to ease the pain, just as they might rub a sore muscle. Many kids outgrow these fairly common causes for grinding. Stress — usually nervous tension or anger — is another cause. For instance, a child might worry about a test at school or a change in routine (a new sibling or a new teacher). Even arguing with parents and siblings can cause enough stress to prompt teeth grinding or jaw clenching. Some kids who are hyperactive also experience bruxism. And sometimes kids with other medical conditions (such as cerebral palsy) or on certain medications can develop bruxism. Many cases of bruxism go undetected with no adverse effects, while others cause headaches or earaches. Usually, though, it's more bothersome to other family members because of the grinding sound. In some circumstances, night time grinding and clenching can wear down tooth enamel, chip teeth, increase temperature sensitivity, and cause severe facial pain and jaw problems, such as temporomandibular joint disorder (TMJ). Most kids who grind, however, do not have TMJ problems unless their grinding and clenching is chronic. 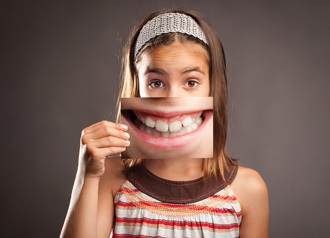 Lots of kids who grind their teeth aren't even aware of it, so it's often siblings or parents who identify the problem. If you think your child is grinding his or her teeth, visit the dentist, who will examine the teeth for chipped enamel and unusual wear and tear, and spray air and water on the teeth to check for unusual sensitivity. How do you feel before bed? Are you worried about anything at home or school? Are you angry with someone? The exam will help the dentist determine whether the grinding is caused by anatomical (misaligned teeth) or psychological (stress) factors and come up with an effective treatment plan. Most kids outgrow bruxism, but a combination of parental observation and dental visits can help keep the problem in check until they do. In cases where the grinding and clenching make a child's face and jaw sore or damage the teeth, dentists may prescribe a special night guard. Molded to a child's teeth, the night guard is similar to the protective mouthpieces worn by football players. Though a mouthpiece may take some getting used to, positive results happen quickly. Whether the cause is physical or psychological, kids might be able to control bruxism by relaxing before bedtime — for example, by taking a warm bath or shower, listening to a few minutes of soothing music, or reading a book. For bruxism that's caused by stress, ask about what's upsetting your child and find a way to help. For example, a kid who is worried about being away from home for a first camping trip might need reassurance that mom or dad will be nearby if needed. If the issue is more complicated, such as moving to a new town, discuss your child's concerns and try to ease any fears. If you're concerned, talk to your doctor. In rare cases, basic stress relievers aren't enough to stop bruxism. If your child has trouble sleeping or is acting differently than usual, your dentist or doctor may suggest further evaluation. This can help determine the cause of the stress and an appropriate course of treatment. Childhood bruxism is usually outgrown by adolescence. Most kids stop grinding when they lose their baby teeth. However, a few kids do continue to grind into adolescence. And if the bruxism is caused by stress, it will continue until the stress is relieved. Because some bruxism is a child's natural reaction to growth and development, most cases can't be prevented. Stress-induced bruxism can be avoided, however, by talking with kids regularly about their feelings and helping them deal with stress. Take your child for routine dental visits to find and, if needed, treat bruxism. When dentists poke around inside your mouth while simultaneously asking you questions about how often you floss, it's not just cavities they are looking for...and there's a lot more than tooth decay that they can see. The health of your mouth, particularly your gums, has major implications for your general health. It's probably no surprise that dentists look for signs of oral cancer when examining the mouth. But some far less obvious health conditions show up in your mouth too. If the eye is the window to the soul, the mouth is the window to the body. Medical conditions are more likely to show up in the gums and mouth than the teeth themselves, though ignoring those gum conditions and not flossing can lead to some pretty nasty teeth issues. People ignore periodontal, or gum, disease with surprising frequency, and something like 50% of adults have some form of gum disease, which is the leading cause of tooth loss and a sign of many other health issues as well. Here are seven things that a dentist can tell from looking in your mouth. 1. You are pregnant. Small red growths on the gums and between teeth, frequently referred to as pregnancy tumors, show up in about 5% of pregnant women. They aren't dangerous, but can be associated with increased sensitivity in the mouth, which means that some people need extra dental care while pregnant. 2. Light pink pale gums can be a sign of anemia. When people are iron deficient, their gums can lose the normal red color and turn pink or even white. 3. Many antidepressants cause dry mouth, which can lead to cavities. While these drugs can help people manage mental health issues, some decrease the flow of saliva, which acts like a protective agent for teeth. Dentists who notice the issue or are alerted to it can recommend sprays, saliva substitutes, or other strategies for protecting teeth. Certain antihistamines, which are frequently used to treat allergies, can cause similar dry mouth issues. 4. You're stressed out or anxious, anxiety is a frequent trigger for gum problems, as people are more likely to neglect oral hygiene and are likely to have an increased amount of stress hormones like cortisol in their body. Higher levels of cortisol are strongly associated with inflammation and make it harder for your body to fight infection. Those stress hormones and associated inflammation also lead to gum disease, which can cause tooth and bone loss. 5. Frequent infections called abscesses at the root of a tooth or on the gums in between teeth are a common side effect of diabetes. Dentists might be the first to diagnose diabetes in many patients, as these infections, which can be painful, frequently bring someone to a dentist's office. Healthy people can develop abscesses, but people with diabetes have an increased risk. Someone who is having trouble managing their blood sugar is especially susceptible to these infections, and the inflammation abscesses cause can in turn make it harder to control blood sugar. That interplay can create a nasty cycle. 6. Autoimmune diseases such as lupus and Crohn's disease can cause sore red spots in the mouth. Lichen planus, another condition that seems to be linked to immune function, frequently shows up as sores on the skin and white spots in the mouth. These spots may be tender or painful and can lead to mouth ulcers, which can be dangerous, but the spots themselves usually respond to treatment. 7. Heart problems are associated with gum disease as well, people with periodontal issues are more likely to suffer from heart problems. Researchers think the relationship may be related to underlying issues with chronic inflammation. One common link with many of these conditions is particularly important to note: dealing with these issues in the mouth can make it easier to find and treat conditions that affect other parts of the body as well. So make sure you schedule an annual visit to the dentist, even if you're lucky enough to have never had a cavity. When most of us think of standing up straight, we probably arch our back a bit to straighten our spine. We might even shift the weight on our feet. But did you realise that your bite can affect your posture and how your posture affects your health? When we speak of good posture, we mean that the head and spine are balanced in relation to gravity. Bones provide the framework for the body. Joints are formed where two bones come together. Muscles attach to our bones and supply power for movement. Nearly every muscle of the body works in a coordinated effort to keep us upright and moving. Poor posture can place unnecessary wear and tear on the joints. It can also cause the muscles to suffer. When your muscles suffer, so do you. We might liken our posture to a delicately balanced mobile. Repositioning any part of the mobile will affect all the other parts. Maintaining the balance of the whole structure means that all the parts have to shift. Posture and your bite are closely related. One affects the other, involving muscles in the neck, back, pelvis and legs. Our bodies have a high center of gravity on a very small base. This is further complicated by the fact that we carry a veritable bowling ball – our head – on top of our shoulders. When any part of your body is out of alignment with the other parts, there is a similar chain reaction. We can picture the body as a postural chain, with the feet at one end. What do you suppose is at the other end? The head? You’re close – but more specifically, it’s the teeth. When your upper and lower teeth are closed together, each tooth actually forms a skeletal relationship with its opposing tooth. This bite determines the position of your jaw, and in turn, the position of your head on your spine. To demonstrate this, tilt your head backwards and close your teeth lightly together. Notice that your back teeth hit first. Now tilt your head forward – toward your chest – and again lightly touch your teeth together. Now the front teeth hit first. These exaggerated movements demonstrate how the bite and head position affect one another. It is just like the song, "The jaw bone's connected to the head bone, the head bone's connected to the neck bone…etc." The teeth are part of the skeletal system. When your teeth are improperly aligned, there is often a compensating effect – or chain reaction – throughout the postural chain. The body will adjust itself. This can involve muscles in the neck, back and even those of the pelvis, legs, and feet. Poor posture is not often thought of as a health problem. Over time, however, the consequences of postural neglect can be as damaging as an injury. Most postural problems can be improved at any age, yet, the longer the problem exists, the more difficult it is to correct. Many people carry their head too far forward. Ideally, when standing, a vertical line coming straight up from the floor would pass through the center of the ear, shoulder, hip and arch of the foot. If the head is carried in front of this line, it places tremendous strain on the muscles of the shoulders, back, neck and head. The average human head weighs 7 kilos, and with each centimetre forward the strain of supporting the head triples! Further, the shoulders roll forward and the jaw is pulled back. This changes the bite. The bite can also influence the position of the head. If your knee joint was displaced, you would probably compensate by limping slightly. When your teeth are improperly aligned, the muscles in your jaw compensate by torquing your jaw slightly to bring the teeth together. This causes the muscles to work harder. Over time, certain muscles may become strained. Muscles which are under constant strain become shortened. They may eventually pull the head to one side or the other. Yet, rather than walking around with a crooked head, we usually adjust our body to keep our eyes and ears level with the ground. This further aggravates the bite condition and may cause problems in other areas of the body – sometimes quite a distance from the teeth! We see, then, that your bite and your head posture are very much related – one affects the other. 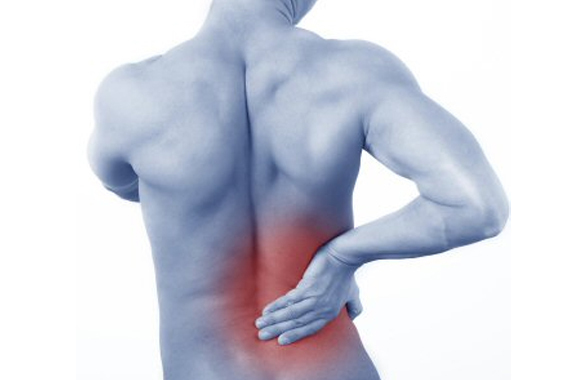 Postural problems are often treated with some form of physical therapy. Treatment may include stretching muscles which have become shortened over a period of time, or teaching you to move your body in ways to minimize the stress placed on various muscles and joints. Correcting long-term postural habits, however, is not so simple as learning to "stand up straight." Postural neglect can cause physical changes to the bones, joints and teeth. When your bite is involved with a postural problem, the dentist must correct it so that the muscles, bones and teeth can function without strain and tension. Because the postural position of the head, neck and shoulders is so closely related to the bite, both dental therapy and physical therapy may be needed to correct the bite. Doing so will then frequently relieve seemingly unrelated symptoms such as pain in the head, neck and back. As the twig is bent, so grows the tree. So too, our body will adapt to its use over time. Poor postural habits become more difficult to correct the longer they exist, and they also become more injurious to your body. If you have any of the symptoms described, discuss them with your dentist, who will determine whether or not they can be relieved by dental or other treatment. How often have you begun an exam on an adult patient and were told of an episode of consternation involving their dental treatment during childhood? Especially one that caused the patient to have an aversion to going to the dentist for many years. An isolated traumatic experience or a series of them may have led your patient to avoid seeing a dentist and fall critically behind on their dental care. Rebuilding the patient's trust as it pertains to their dental treatment may take a lifetime to amend after avoiding dental care during childhood and adolescence. As a general practitioner, what can be done to set up a positive, initial paediatric dental experience to instill a lifetime of dental compliance and regular dental checkups? One answer lies in 21st century dental technology. One of the consistent challenges of paediatric cases without the utilisation of sedation is the anesthetic process. Paediatric patients are often fearful, anxious, and restless when it is time for numbing. But what if restorative treatment can be performed without the infamous needle? Advances in technology using dental lasers that cut hard tissue have made it possible to remove decay and affected tooth structure with little to no anaesthetic. A common psychological impediment in paediatric dental care among very young patients is the perceived misconception that dental treatment is punishment for negligence. The anaesthetic process and the noise of the dental drill are two common factors feeding the fear of dental treatment. The utilisation of lasers in restorative dentistry can help prevent both of these factors. In common instances, laser dental treatment to remove decay can be performed without any anaesthetic, especially if the decay is not too deep into the dentin. The timeless dental adage as it relates to paediatric treatment is, "The dentistry is simple but the patient management is not." A common deterrent of effective patient management is inadequate communication. Child-friendly terminology using verbiage with phrases such as "sleepy juice" or "sugar bugs" may be well intentioned but may not be adequate to allow for full concession of treatment. Advances in technology have allowed for dental treatment videos to be shown to adult patients to educate them in "layman" terms as it pertains to their imminent procedure. For paediatric patients, animated videos with cartoonlike images for dental treatment can transfer effective communication otherwise lost in translation. Specific procedures such as composite restorations or basic oral hygiene can be shown with animation that is simple to follow and easy to understand. Software specific to patient education is readily available both online and through media catalogs. The advances in technology combined with the compassion and patience of the provider can help instill a lifetime of positive dental experiences and continuous dental visits. An overwhelming majority of dentists have yet to realize how much their practices might benefit from a powerful website and a well-orchestrated SEO campaign developed around the website. That creates an opportunity for the early birds who can seize the advantage and reach out to the largest number of potential patients in their local area at the lowest possible cost via online marketing. Potential patients are increasingly relying on the Internet to find good cosmetic and general dentists in their area. With more than 80 percent of all internet users looking online for information on specific diseases or treatments, an informative and user-friendly website becomes the most effective means to connect with these potential patients. A comprehensive dental website must provide information in distinct sections. It is like a well-organised library, where the reader is able to access the precise information he or she is looking for, with minimal effort. A few critical sections are listed here. They should be a part of every dentist’s website. Your dental website must include a prominent section detailing the procedures and services offered at the facility. Potential patients are looking for information about the latest procedures, how they are performed, effectiveness, recovery period, potential risks and side effects, and estimated cost. It is also important to include information about the latest technologies and equipment available at the facility to perform the procedures. This could perhaps include the details of the dental laboratory used and the technology, process and materials used to manufacture the patients' restorations. Before and after pictures represent one of the most effective ways to explain to a potential patient about the expected results of a procedure. This helps patients make up their mind about their choice of a procedure, and also allows them to have realistic expectations about the results. Images must be chosen and presented with professionalism and sensitivity to achieve the desired impact. Most new patients are keen to know more about the dentist before they decide to seek an appointment. This section should provide all the relevant information about the qualifications, certifications, experience, specialty areas, awards, honors and achievements, media features and ratings, community involvement, and family background of the dentist. If there is a team of dentists at the facility, the website should ideally include information about each member of the team. One of the most informative sections of a dentist’s website is the News and Blog section which should offer excellent value to the readers. This section can include any announcements of new procedures, new equipment, new additions to the dentist’s team, or news about the latest developments in the field of dentistry. It can also include comprehensive articles related to the specific treatments and procedures offered at the facility. A content-rich website with reader-friendly information encourages readers to spend more time on the site, which brings them closer to the dental practice. A recent internet survey reveals that more than 25 percent of all adult internet users have watched an online video about health or medical issues. Furthermore, 16 percent of all adult internet users have consulted online reviews or rankings of doctors. Keeping these facts in view, a dental website should have a section that includes relevant videos, images, and positive reviews about the practice. These elements are an eloquent testimony that says more than what words can convey about the practice. Sometimes even a great dental website can lose its impact if the website architecture and design is poor, or attention has not been paid to create an easily navigable and user-friendly website. The attention span of the average Internet surfer is extremely limited. Therefore, make sure that your website’s home page and every other page download quickly. The faster your website, the more it will be explored by an average visitor. To ensure a fast website, the pages must be short, but not too short t the expense of content and continuity. The pages can include hyperlinks for more readers who need more detailed information. The reader should be able to navigate through your dental website conveniently. Anchor links and tables of contents should be available on each web page, so that the reader does not have to go back to the home page each time. A site map should also be a part of the website to provide a quick overview of the entire site. A site “search” feature can also add to the user-friendly quality of the website. Images are an important part of a dental website. However, it is equally important to size the images optimally so that a balance between the speed and beauty of the website is maintained. Videos should download only when the reader gives a command for the video, and not automatically. This is a huge bug-bear for me...even the greatest of website content can fail in its purpose if the reader is confronted with typographical and grammatical errors. Even a single glaring error is nothing short of a disaster for the professional image of the website, and in effect, the dental practice. If the website includes broken links, it will not only frustrate the reader, but also lower the search rankings of the website. Broken links are a clear indicator that the website is poorly updated. Regular updating of the website is critical to maintaining its quality and freshness, and delivering new value to the readers regularly. A dental website should be differentiated from a typical commercial or jazzy website. The frills and fancies must not overshadow the content, and they should be used only where they enhance the content. Spinning graphics or logos can slow down your website, and a new visitor may leave before the special effect finishes downloading. The goal of your dental website must be to provide information to the reader in the most effective and pleasing manner. Busy backgrounds with light text colors or complex fonts can make it difficult to read the content. Each web page must be attractive, but at the same it must be eminently readable. Contact information is the most important element of a dental website. It is a subtle call to action for a potential patient to get in touch with the dentist’s office. The contact information must be placed strategically at various points in the website where the reader is most likely to feel the need to make an appointment or seek more information from the dentist’s office. A great dental website is akin to a football stadium, where each section of the website represents a different entry point to the stadium. Each ticket holder to the football game will enter the stadium through a different door as per the ticket. However, once all ticket holders are inside the stadium, they can all enjoy the game from their vantage points. A great game must always be played in a great stadium. That stadium, in the world of virtual marketing, is your dental website. For most consumers, online reviews have become integral to their buying decisions. A recent study found that 90% of people are influenced by online reviews when deciding whether to purchase a product or service. More than 70% of consumers say they trust online reviews, second only to personal recommendations, as the most trusted forms of advertising. Consumers searching for dentists are no exception to this trend since 70% of patients say that online reviews are as important as the dentist's credentials. Although at the moment in Australia, patient testimonials are a no-no on a Dentist's website, it's clear that prospective patients rely on online patient reviews as a key influencer when choosing a new dental care provider and reviews are often placed on other social media sites, like Facebook, LinkedIn or taargeted medical review websites. The challenge for practices is to ensure their patient reviews are dealt with properly. There is so much discussion today around online reviews that it can be overwhelming at times. Spend some time online to search for and monitor all reviews of your practice to keep track of your reputation. As much as you try to give the best possible patient experience, there are times when a negative review surfaces. While it's easy to identify negative reviews, it's a little trickier to keep track of reviews across the entire Internet. In this instance, your best bet is to get help from a vendor with software that does the scanning for you. With the overwhelming influence that online reviews have on prospective patients, you want to know when less than stellar reviews take place. Quickly address all negative reviews. Dental care providers, like most people, do not like conflict. Dealing with negative reviews is never fun; however, the speed in which you address these with patients can have a dramatic impact on your practice. When a negative review is identified, contact the reviewer as soon as possible. Seek to understand the issue, apologise where appropriate (even when you think it is a bit unreasonable), and then ask the reviewer to resubmit a revised review. The longer you wait to address the negative review, the harder it will be to come to a mutually beneficial resolution. Who says eating chocolate will rot your teeth? Well there's a 'luxury' dental care firm, based in the US, selling a line of toothpastes that contain a patented substance derived from cocoa beans. Rennou, the special ingredient, replaces the fluoride which is found in most commercially available toothpastes on the market. According to the website, this special compound is "blended with other minerals that help to strengthen the enamel surface of human teeth." Theodent claims that their new product is non-toxic and not harmful if swallowed. Sounds pretty cool, until you check out the price tag. One tube of Theodent can cost as much as $100...yes, you heard that right. It is not surprisingly the most expensive toothpaste on sale...but are the claims true? A white paste with mild minty taste and advises users to brush and rinse, then brush a second time and spit out the excess. If you swallow it, there is an unpleasant hint of cocoa . . . and a sudden urge to retch. Dr Nigel Carter, chief executive of the British Dental Health Foundation, who leads an expert panel of dentists that examines manufacturers’ claims to ensure they are clinically proven, gives his verdict. "The price is utterly unjustified — 20 times the cost of a well-researched toothpaste for something fluoride-free. 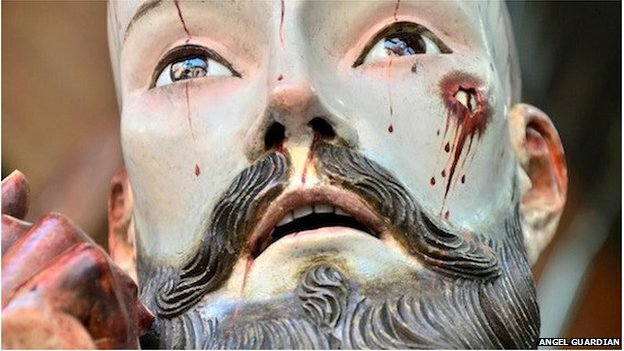 You’d be better off with a 25p fluoride toothpaste from the supermarket"
The statue of the Lord of Patience in the parish of San Bartolo Cuautlalpan, Mexico, has always looked ghastly. His tortured look, blood streaming down his neck, open wounds on his face, hands and knees send shivers down your spine. But it turns out that the statue is even more realistic - and macabre - than previously thought. Specialists restoring the 18th Century artwork have discovered that the statue's eight teeth used to belong to an adult human, Mexico's National Institute of Anthropology and History has announced. "The teeth were probably donated as a token of gratitude," suggests head restorer Fanny Unikel. Elsewhere in Mexico, parishioners are known to have volunteered their hair to make wigs for saints, as well as clothing or money. But the teeth and nails of statues are usually made of bones and animal horns. 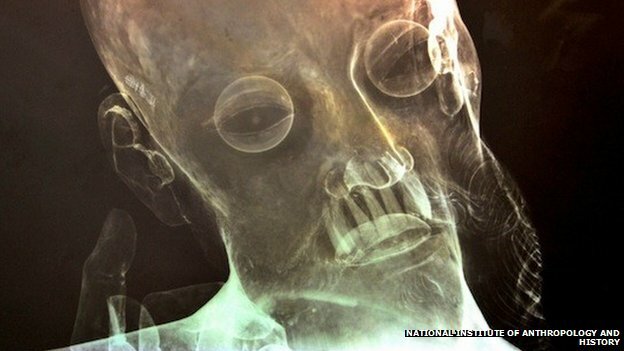 "It's the first time human teeth have been found in a sculpture," says Unikel. As unique as it is, the director of Mexico's National School of Restoration, Conservation and Museology says the find isn't surprising. "The statue is a very convincing depiction, so naturally, if someone could lay hands on this kind of teeth, he would use them." Unikel adds, in a museum video, the teeth are in perfect condition, even for a centuries-old sculpture. She rules out the idea that they belonged to a holy person. "Relics would be used in a different way to stress their significance."